Sports fans in Albany, New York turned out in droves on Saturday night as Star Boxing presented "KO AT THE TU" at the Times Union Center. "We're very pleased with the supportive crowd who saw some great fights and truly had an entertaining evening. Our next date here in Albany at the Times Union Center will be on Saturday, April 28th," said Joe DeGuardia, President of Star Boxing. 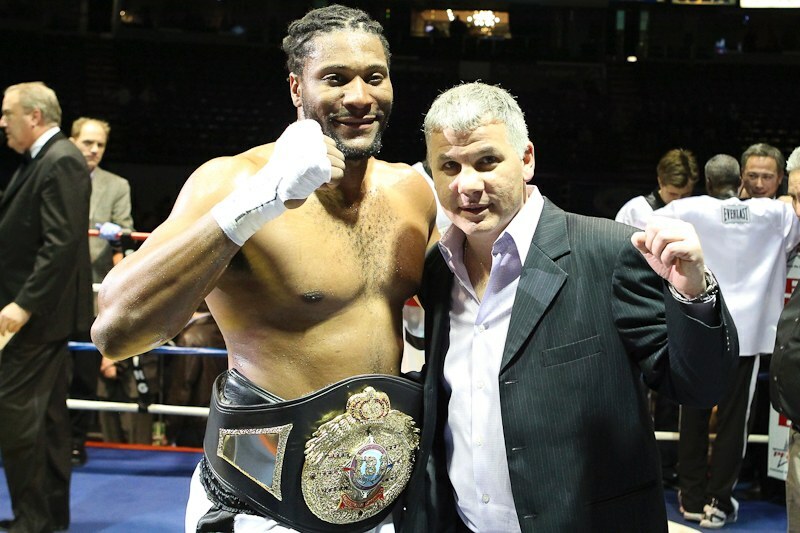 In front of a loud and supportive crowd approaching 4,000 strong, heavyweight contender Joe "The Future " Hanks defended his IBA Americas Title over monstrous Cuban Rafael Pedro. 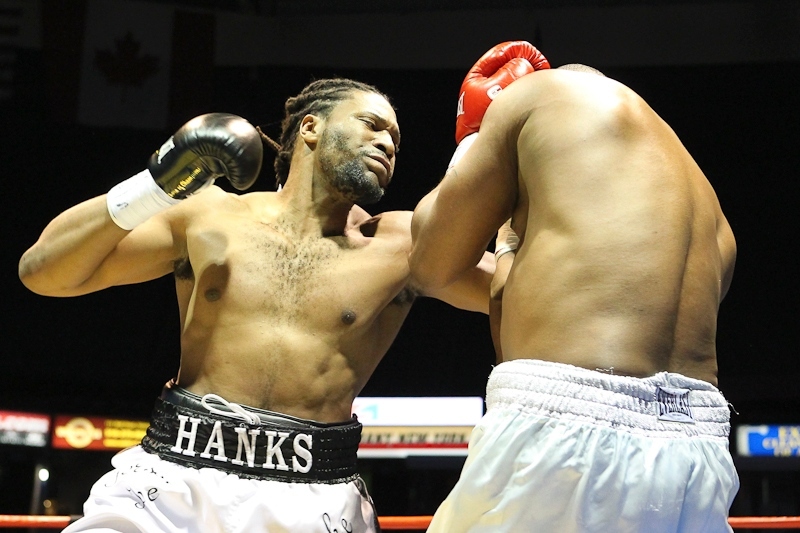 The 28-year-old Hanks took the fight right at the 6'7" Pedro, pressuring the giant with piston like jabs and crunching body shots, easily winning the opening stanza. The assault continued in the second round when the proceedings ended abruptly. With Pedro attempting to fend off Hanks, he fell to the canvas after attempting a right hook. Suffering from an apparent dislocated right shoulder, Pedro informed the referee he was unable to continue and the bout was stopped at the 0:48 mark of the round. With the win, Hanks of Newark, New Jersey improved his perfect record to 19-0 with thirteen stoppages while Pedro fell to 21-10-1 (15KO's). 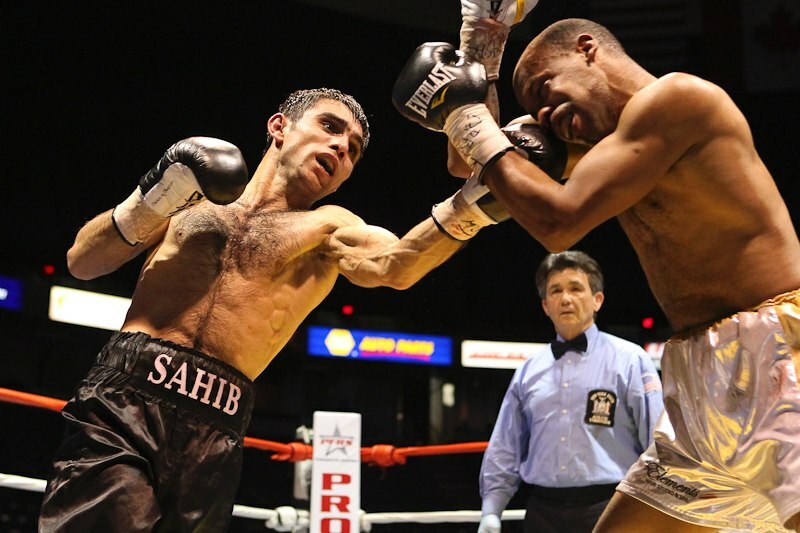 In the co-main event, fans were treated to a fast-paced ten rounder between bantamweights Sahib Usarov of Moscow, Russia and Cuban 2004 Olympic Gold Medalist Yan Barthelemy for the WBO Inter-Continental Title. Fighting for the first time in the United States. Usarov took the fight right at the fellow southpaw. Utilizing excellent boxing skills, the Russian was able to score effectively with a piston like jab and sharp left hands, keeping the awkward Barthelemy at bay. Both fighters eyes were swollen by the end of the fight. Scores at the end were tallied in Usarov's favor, 98-91 and 96-93 twice. 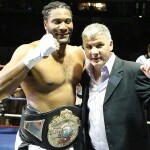 With the win the, Usarov improved his unbeaten record to 18-0-0 (6KO's), while Barthelemy fell to 12-3-0 (4KO's). In a scheduled four round junior middleweight bout, son of former Mike Tyson trainer, Kevin "Kid" Rooney Jr. got back in the win column after a gruelling battle with the game Stanley "Chin Checker" Harvey of San Diego. Fighting off the early aggression from Harvey, Rooney was very busy banging away at Harvey, hurting him various times over the four round scrap with hard shots from both hands, icing the victory with a brutal right hand that sent Harvey's mouthpiece into the air in the fourth frame. Winning by shutout scores of 40-36 on all three score cards, Rooney improved to 3-1-0 (1KO), while Harvey returned to California at 1-2 (1KO). Highly regarded middleweight prospect Jason Escalera stayed unbeaten with a fourth round stoppage of Marcus Brooks in their crowd pleasing, scheduled eight rounder. Dropping Brooks in the second with a crunching body shot, Escalera followed up with an additional knockdown of the stalking Columbia, South Carolina native in the third round. The gutsy and aggressive Brooks stayed after the skilled Escalera but was dropped again in the fourth with a shot to the body, the bout being called to a halt at the 1:09 mark of the round. Fighting out of Union City, New Jersey, Escalera improved to 13-0-0 with 12 knockouts while Brooks moved to 7-9-0 (3 KO's). In front of a large, loud and proud gathering of supporters, Schenectady's Bryan 'The Brick" Abraham upset Darnell Jiles of Rochester, New York in their junior welterweight bout scheduled for six. Displaying superior technique, Jiles controlled the early action with his advantage in speed and blistering counter shots. But the game Abraham kept after the southpaw with hard right hooks. Trading heavily much to the crowds delight towards the end of the round, Abraham drilled Jiles to the canvas with three brutal right hooks, the bout being stopped at the time of 2:59. 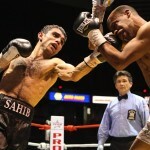 The knockout raised Abraham's record to 6-10-2 (6KO's) while Jiles turned to 8-3-1 (3KO's). In the opening bout of the evening, pro debuting Albany native, Mike Seitz turned back the wildly aggressive Karim Richardson of Brooklyn, New York, dropping the fellow pro debuter to the canvas in the first round with a powerful left hook which halted the action at the 2:00 mark of their light heavyweight bout.